BCAA, or Branch Chain Amino Acid, are sports supplements that are widely used by athletes and bodybuilders to help support muscle protein synthesis during and after a workout. In order to build muscle, BCAAs need to metabolize. BCAAs are typically made up of three different amino acids including leucine, isoleucine, and valine. If an athlete cannot consume sufficient BCAAs through their diet, the muscle won’t have enough of these essential amino acids to metabolize and build more muscle with. This leads to ineffective workouts and poor muscle growth results. BCAA supplements help provide the necessary amino acids to help the muscles continue to build. These supplements can also help provide increased endurance during workouts because BCAAs are burned for energy in physical activity. BCAA levels decline during workouts, so supplements can help provide the extra amino acid boost needed for a more rewarding workout. Whether you own a small shop or a large chain of health supplement stores, the team at BioThrive Sciences is capable of fulfilling your BCAA supplement needs. 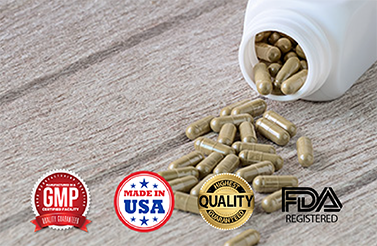 We use only quality, FDA-registered ingredients in our supplements. We also offer private labeling consistent with your company branding and targeted for your specific audience. Private labeling design and production. The team at BioThrive Sciences is committed to quality both in our products and in our service to you. When you work with us, you can be sure that the manufacturing process will be simple and that your end client is receiving the best quality products possible. Contact us today at 844-263-3657 to learn more about our services. Ask about our free label design on your first order!